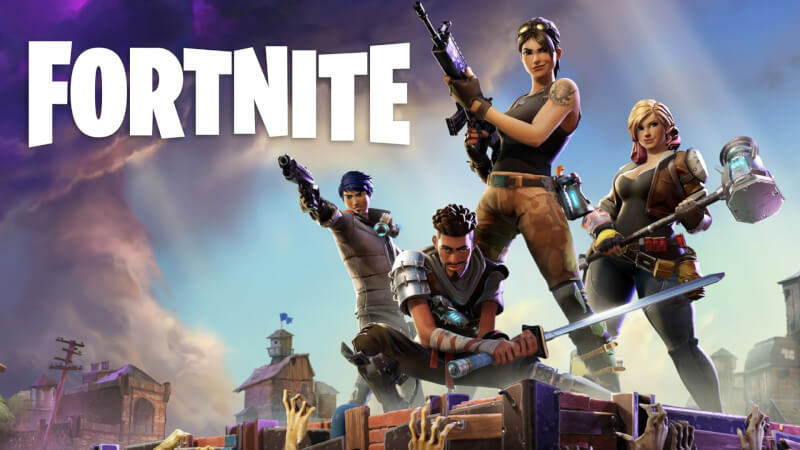 If you are the one, who is looking to download the very famous game called Fortnite Battle Royale on your android device, then you are at the right place. Today in this article I will let you know, How to install Fortnite game on Android in very simple steps. Before getting into the steps to install Fortnite Battle Royale. Check the compatible devices with fortnite android. 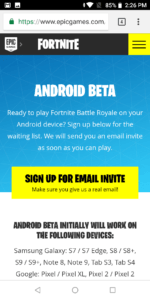 Now, if you are using any of the device mentioned above, you can follow these simple steps to install Fortnite Battle Royale game on android. I will recommend you to follow these steps on your mobile phone. Go to this link, and tap on Sign Up for Email invite then create an account, and if you have an account associated with this website. Use your old account. 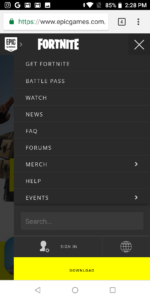 After creating an account, tap on the yellow options button on the top right corner of the screen, and choose to Get Fortnite option. 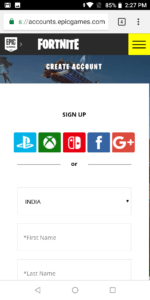 Now, Register for the invitation of Fortnite Installer. The website will send you an invitation email within 2-3 minutes. or you can directly click here, it will redirect you to the Download page of Fortnite installer application. Now you will get to see an option of Download. 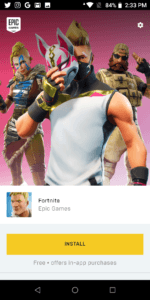 Tap on download, and install the Fortnite Installer application. 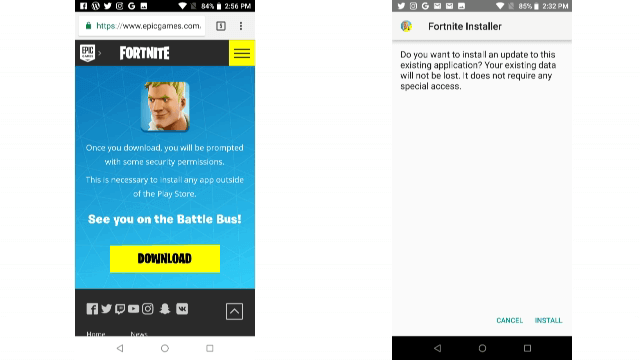 Now, Open Fortnite Installer and simply tap on Install button. It will download the Fortnite game directly from the server to your phone. After that, simply install Fortnite battle royale game, and enjoy. Now, if you are getting an error after installing and following all the process mentioned above, it is because this game is following some safety net, and also looks for ADB being enabled. So, in a way to run Fortnite battle royale, you have to pass the safety net and disable ADB. This is a modded and experimental APK with the Safety Net test skipped – this may mean your account gets banned so be careful! So use any of the throwaway accounts. I can play Free Fire game on my mobile . Can I also play Fortnight ? You have to a 3 gb ram and above mobile device and 425 snap dragon and Android 6.0 to run this game. 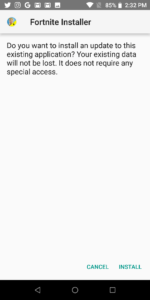 It’s not working..I’m using Redmi Note 5.. I tried both of your apk files..but shows GPU not support…. It says my qpu is not supported..
Free fire lol u r kidding rt?? Playing fortnite dream on kid..
mera asus zenfone 5z hai game install ho gya hai. but waiting list dikha rha hai kya kru? Bro adb disable lese kre plz help!! What about honor view 10 does it support? Can I play it on redmi Note4?? ?